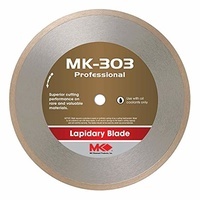 Bore Size: 1 inch Bush down to 3/4" Bush down to 5/8" Bush down to 1/2"
MK301 blades provide superior cutting performance for hard materials such as agate, petrified wood or jade. 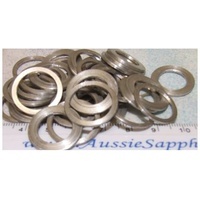 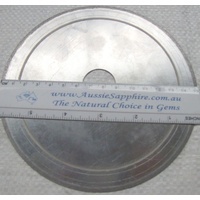 They MUST be used with a suitable cutting oil (water coolant is unsuitable). 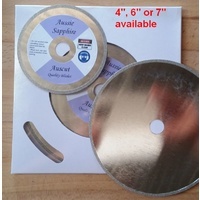 * 1" arbors can be bushed to smaller size at no extra charge - please request this in the option above. 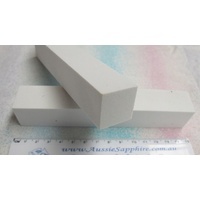 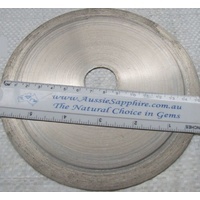 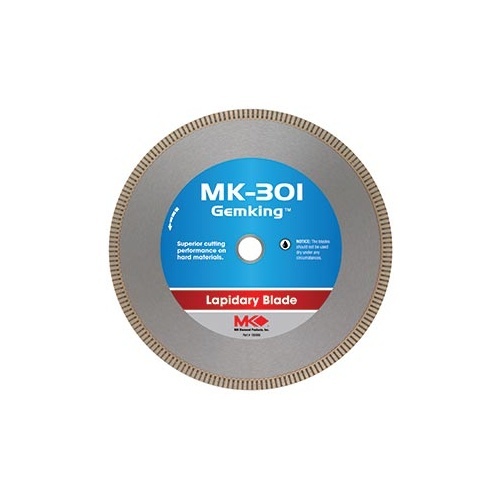 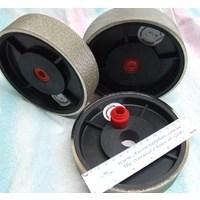 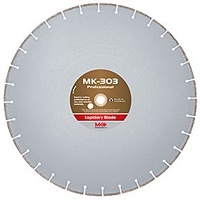 MK-301 lapidary blades require a petroleum based or synthetic cutting oil as a cutting fluid/coolant. 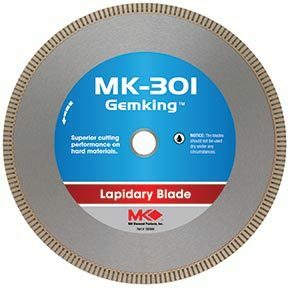 Water is not suitable to use with these blades and will result in damage to the blade's cutting capacity and will void the warranty. 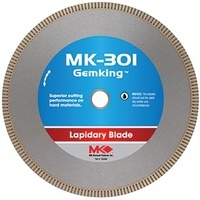 The blades should not be used dry under any circumstances.